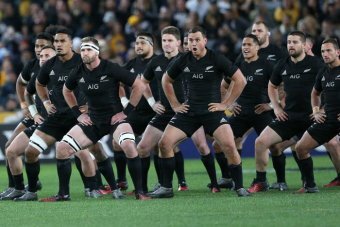 A man, understood to be a security consultant for New Zealand’s All Blacks rugby team, has been charged over a listening device found in the team’s Sydney hotel room during last year’s Bledisloe Cup. The device — described as similar to that used by law enforcement and spy agencies — was found inside a chair during a routine security search of the team’s meeting room at the Intercontinental Hotel at Double Bay ahead of a Bledisloe Cup match against Australia last year. 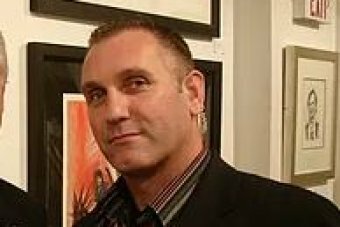 Adrian Gard, 51, is understood to be a consultant for BGI Security which was contracted by the All Blacks during their Bledisloe Cup campaign. He has been charged with public mischief over the bugging incident. Australian Rugby Union (ARU) chief executive Bill Pulver said the Wallabies and the ARU had never been accused of wrongdoing and commended the NSW Police for pursuing the matter. “The aspect that still leaves a bitter taste out of this whole affair is that the discovery of the device was reported publicly on game day, when it is understood that the alleged discovery of the device occurred much earlier in the week leading up to the Test match,” he said. The All Blacks dismantled the Wallabies 42-8, just 12 hours after the details of the listening device emerged. The world champions scored six tries, recording their biggest win over the Wallabies on Australian soil in 113 years. In a statement, All Blacks head coach Steve Hansen said the charge was “very hard to understand”. “Frankly, the charge seems bizarre and unbelievable,” Hansen said. Hansen said it would not be proper to comment further as the case was before the courts. BGI Security’s website advertises its relationship with the All Blacks and a variety of celebrities including Oprah Winfrey, Hugh Jackman, Mick Jagger, the Olsen twins and many more. The site says Gard has 31 years’ experience in security and used to be the security manager for the Olympic Stadium in Sydney. The ABC contacted Ashley Gard, director of BGI Security (Secure Gard Pty Ltd) and he refused to comment.